Whether it’s family or fine dining on your mind, there are plenty of spots to enjoy indoor air conditioning or the view from the patio. There are countless great sit-down restaurants clustered into the main drags of Vineyard Haven, Oak Bluffs, and Edgartown, but if you’re looking to head up-Island, grab a seat at State Road Restaurant, Lambert’s Cove, The Chilmark Tavern, The Home Port, or (way up-Island) the Aquinnah Shop. Going out just for a drink? Better to stick around downtown Oak Bluffs or Edgartown. Open year-round, and conveniently located on Upper Main Street in Edgartown next to the Clarion, The Grill on Main offers casual, upscale American fare with a New England flair and a great children’s menu – this place is truly family friendly. 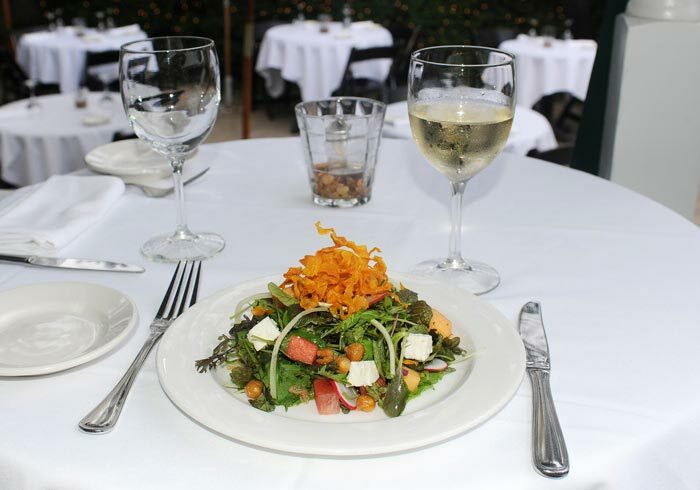 2-for-1 Entrées on Thursdays, Fridays, and Saturdays; Prix Fixe Menu Daily; Open 6 Days a Week. Closed Sundays. Stop by the Grill, a Martha’s Vineyard restaurant, for dinner. A casual, upscale New England-American fare with a children’s menu. Or visit their new bar, a great place to gather with friends. The Vineyard’s first dedicated oyster bar, serving craft beers, interesting wines and fresh seafood in Edgartown. Charlotte and Scott Caskey’s Alchemy, in the heart of downtown Edgartown, is a vibrant, playful yet sophisticated restaurant. Enjoy the creative New American fare outdoors on the porch (where people watching is almost as delicious as your dinner) in the airy dining room, or in the bar upstairs – where we’ve consistently had one of the best burger experiences on the Island. Don’t miss: half roasted chicken, asparagus and jonah crab salad, bag of fried oysters, wild mushroom risotto balls, and grilled pork chops. A Martha’s Vineyard year-round restaurant. Located in the heart of Edgartown, Alchemy is a uniquely American restaurant inspired by the traditions of Parisian bistros and the gastronomic bounty of New England. Enjoy breakfast, lunch, and dinner in-season on the Gay Head Cliffs at the Aquinnah Shop Restaurant. The restaurant’s claim to fame is the terrific views of the Atlantic Ocean and the Elizabeth Islands, seen from both inside and outside seating. Jacob Vanderhoop has been cooking at his family’s restaurant since he was 12 and in 2012 he took over as head chef. Trained at Le Cordon Bleu Culinary School in Cambridge, his menu boasts plenty of seafood even for breakfast, such as Fishcakes & Eggs; and the Tomahawk Special: 2 homemade codfish cakes with salsa, served with eggs and cheese. The restaurant serves beer and wine. We like: Blue Corn Pancakes enjoyed outside on a warm summer morning. 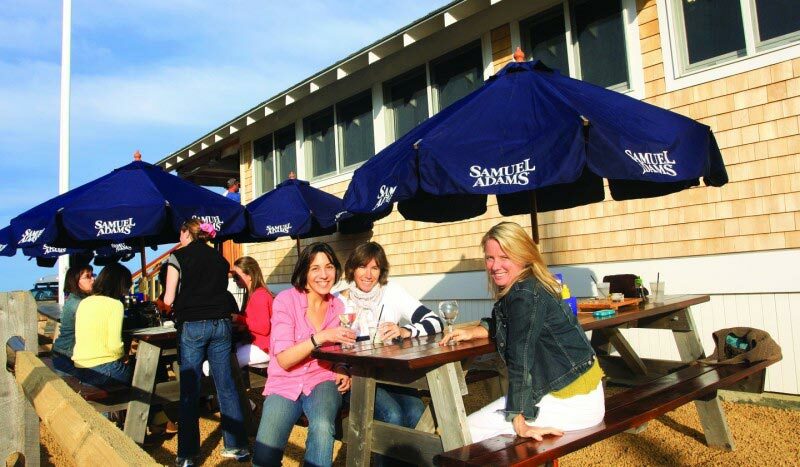 Enjoy breakfast, lunch, and dinner in-season on the Gay Head Cliffs at the Aquinnah Shop Restaurant. 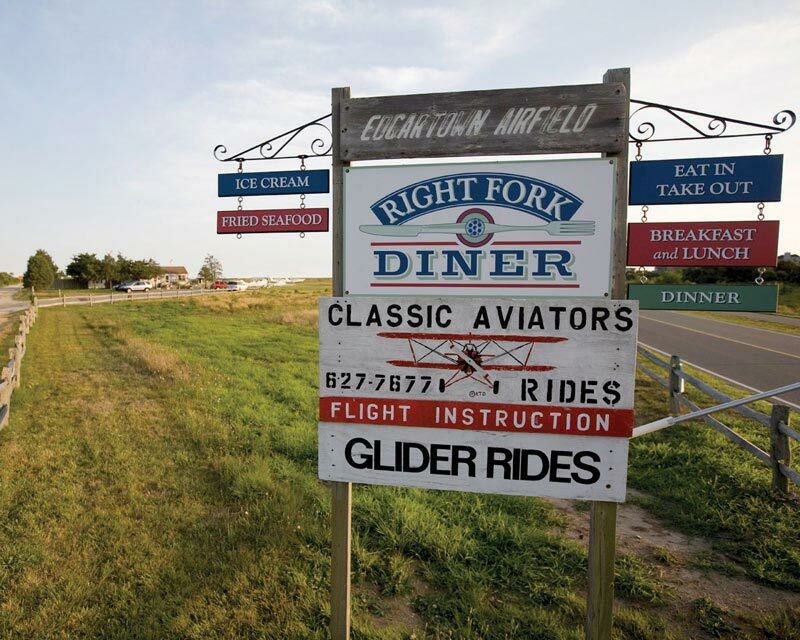 The restaurant’s claim to fame is the terrific views of the Atlantic Ocean and the Elizabeth Islands. The ArtCliff, opposite Vineyard Haven Harbor, serves spectacular food created with fresh local ingredients whenever possible. The funky setting can be a little misleading – Frommer’s Guide says “expect the best food you ever had at a diner” and we concur! Best bet: Anything and everything from the daily specials menu, or (our favorite) the Bull’s Eye – a mouthwatering codfish cake served with eggs, arugula, spicy hollandaise and mustard oil. Yum! For those who can’t get here for breakfast or lunch (or can’t get enough and just plain need more!) choices from a more limited menu are served from the ArtCliff truck in their parking lot – Thursday through Sunday evenings in season. Where the water meets Main Street – on the harbor in Edgartown – is where you’ll find the Atlantic. Great for intimate dinners and small parties, the Atlantic Fish & Chop House boasts waterfront views with two bars and dining tables situated along the front windows. Some of Atlantic menu favorites include mouthwatering filet mignon, tender prime rib, and more, all USDA prime and grilled to perfection. There’s also a comprehensive array of inspired seafood and chicken dishes. Save room for dessert, provided by an in-house pastry chef and not to missed. Serving lunch and dinner seven days a week from April to October. Don’t miss: Tuna and shrimp salad, Italian street fair porchetta sandwich, and a berry mojito. Casual waterfront dining and late night entertainment. Featuring local seafood, great steaks, burgers, salads, and sandwiches. Enjoy their outdoor decks and harborside patio while dining for lunch or dinner. Cooking with fresh, organic, and sometimes Island grown produce, fresh-off-the-boat seafood and lobsters, Edgartown’s own Sweet Water Farm oysters, and aged prime meats insures that each dish is noteworthy, every dinner memorable, and all guests esteemed. Atria is a rarity that consistently lives up to its international stature as the premier fine dining restaurant on Martha’s Vineyard. Atria also includes the Brick Cellar Bar, open year-round, which is an honored sanctuary for Vineyard regulars and a familiar getaway for the many notables who frequent the Island. 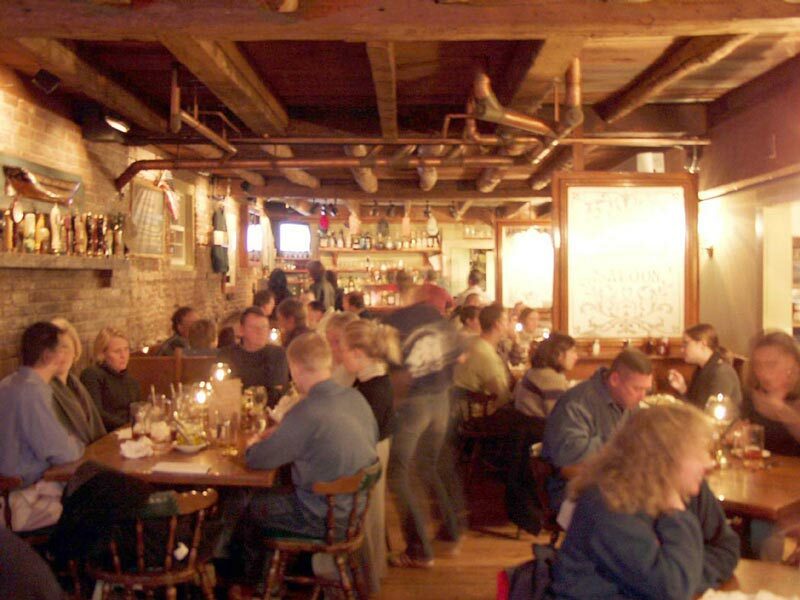 The Brick Cellar is recognized as the Vineyard’s “Best Bar Scene” by the Phantom Gourmet. The cool feel and warm finish of the brass bar and the extensive menu hosted by adroit bartenders, is an instant invite to kick back, relax, and enjoy. After-wedding parties traditionally gather at Atria – the perfect spot to end an idyllic day. Don’t miss: The Thai Spiced Shrimp Burger, Rare Ahi Tuna Tempura, Island Lobster Mac n’ Cheese, and the Cadillac Margarita. A Martha’s Vineyard year-round restaurant in Edgartown. The menu at Atria is an exquisite balance of new, dramatic tastes and presentations that respect the comfortable, traditional elegance of New England cuisine. You can also visit the Brick Cellar Bar for drinks and an extensive bar menu. Find a cozy seat by the window here, or choose a long table tucked along the rail that divides the glowing amber-colored room and get ready for a Thai feast. The food at Bangkok Cuisine is complex: hot, sweet, sour, and salty. Authentic dishes from Central Thailand mix fresh vegetables and proteins, and traditional Thai herbs such as ginger, cilantro, lemon grass, lime, and hot peppers accent the sauces. The chef here will adjust the spiciness to your specification – mild to wildly hot – and every item on the menu can be made in a vegetarian friendly way. And in the summer months, dine outdoors on the patio. Bangkok Cuisine offers a break from typical Island fare, and a little bit of exotica in the heart of Oak Bluffs. We like: Crab Rolls, and Mango Chicken Curry. 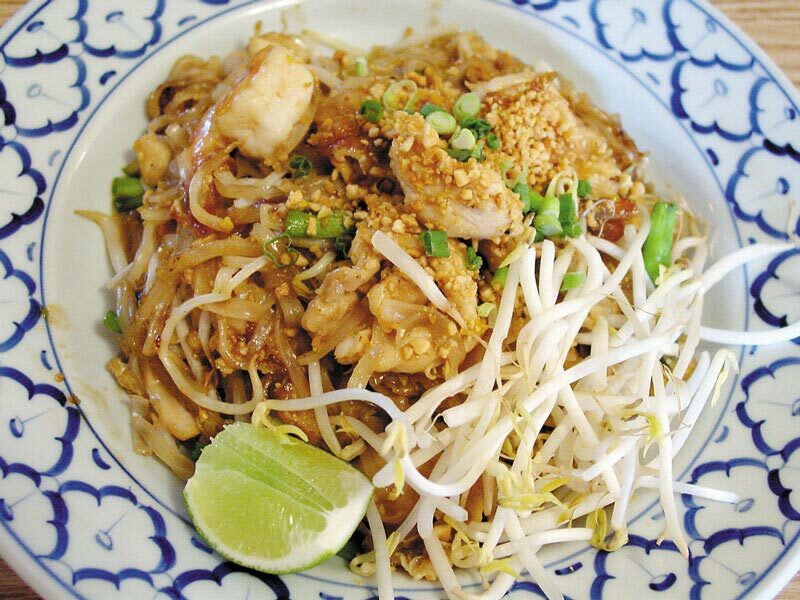 Bangkok cuisine offers a cozy setting for a family dining experience. The food is traditional Thai with a balance of flavors- hot, sweet, sour, and salty. Now offering beer and wine in the restaurant. The Beach Plum Inn and its fine dining restaurant are open from May until well into the fall. Surrounded by several acres of pasture, woodland, and ornamental gardens, this antique inn’s oldest beams and posts are purportedly shipwreck timbers. The inn overlooks Menemsha Harbor and affords lovely water views. Inn amenities include tennis courts and an acclaimed in-house restaurant. Menemsha Village is only a short walk away. Located on seven acres in the fishing village of Menemsha, the Beach Plum Inn & Restaurant offers sea views, formal gardens and privacy for those who wish. Beach Road is the sister restaurant to the popular State Road restaurant in West Tisbury. The menu adheres to the same quality as State Road, which won Best of the Vineyard 2015 for Best Fine Dining, as well as honors from Wine Spectator and Best of Boston. Beach Road offers family-style options, and a seafood-centric menu, along with serving wine and beer. At Beetlebung we believe food should be healthy, exceedingly delicious, and fun. Farm to table? Absolutely. We start with fresh ingredients from Martha’s Vineyard farms and waters. We combine these with culinary traditions and flavors from around the world so that you can pick and choose, combine, and share (if you like) fun foods, from the solidly familiar to the deliciously exotic. From Cheese Burger Sliders to Curry Lobster Sliders with Truffle Fries. We’re farm to bar, too. We craft sensational cocktails from garden fresh herbs and over a dozen fruits from raspberries to watermelon. Our bar offers the leading call brands, as well as Organic, gluten free, and local craft spirits and beers, and a thoughtful selection of wines we love. We serve Brunch, Dinner, and Cocktails every day – and our Espresso Bar is open all day long. Chesca’s offers delicious coastal-based Italian and urban American fare that bridges upscale and comfort food. Featuring an old fashioned front porch with rocking chairs that overlooks historic downtown Edgartown, enjoy a drink outside before sitting down for dinner. The main dining area is boisterous and vibrant on a busy summer night, while the enclosed porch serves up a more intimate and relaxed experience. Some of our favorite entrees are the Papardelle Bolognese and the Bento Boxes of grilled Salmon with Thai chili glaze, Chicken Marsala or Grilled Shrimp. The full bar offers creatively crafted cocktails (try the salted caramel martini! ), and unique value-based wines. Eat a full meal at the bar, while keeping up on the game or enjoy drinks at the side rail with a view of the courtyard. Chesca’s is open for dinner seasonally, mid-April through October. 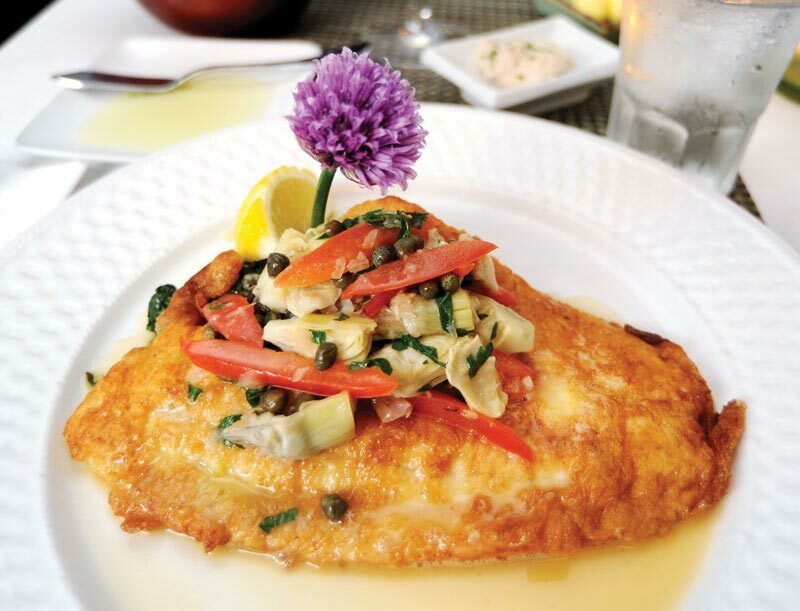 Don’t miss: Sole Piccata, and the Snowball dessert. A Martha’s Vineyard seasonal restaurant favorite, Chesca’s offers delicious urban Italian and American food that bridges the gap between upscale and comfort. Offering traditional Chinese food in historic Edgartown, this place is casual to the max, with a full take-out menu…and they have plenty of parking. Conveniently located across the street from Stop and Shop, and next door to The Dairy Queen. Don’t miss: Call ahead for your take-out, and try the Orange Chicken. Discover authentic Chinese food in historic Edgartown. The China House is a casual dining establishment serving delicious ethnic dishes. Coop de Ville is a casual, waterfront, family-friendly Martha’s Vineyard restaurant, offering outdoor seating and well-prepared New England seafood. Bring the family for steamers, boiled lobsters, fried clams, and eight flavors of Buffalo chicken wings. Plenty of cold beverages for all ages. The outdoor raw bar is a delightful diversion. We like: Clam chowder, stuffed quahogs, fried zucchini, and Buffalo wings. A Martha’s Vineyard seasonal restaurant on the Oak Bluffs Harbor with awesome wings, steamers, lobsters, fried seafood, raw bar, and patio dining. Deon’s serves caribbean style food for lunch and dinner daily at the VFW in Oak Bluffs. Many agree that Deon’s is the town’s best kept secret. Open seasonally, Détente specializes in adventurous modern local cuisine and a substantial selection of wines from around the world – owners Kevin and Susanna Crowell have gone out of our way to find hidden gems of excellent value. Dinners are served either in the intimate dining rooms, on the outdoor terrace – a perfect spot for a quiet meal by candlelight. The full menu is also offered at the beautiful soapstone bar. The offerings change frequently to take advantage of the best in locally grown and raised ingredients. You’ll find Détente tucked in the back of Nevin Square in the heart of Edgartown, on the right, half-way between Water Street and Summer Street. Don’t miss: the Local Tautog on tomato cavatelli, asparagus, fiddleheads, haricot vert and blue crab with salt cod bisque; and the Borchetta: wild roasted boar loin in boar belly, with cherries, glazed onions and fregola. A Martha’s Vineyard seasonal restaurant – A cozy restaurant and bar, specializing in modern local cuisine and numerous wines from around the world. Dinners are served either in the intimate dining rooms, or summer outdoor terrace – perfect for a quiet meal by candlelight. Opened in summer of 2016 Down Island is an intimate fine dining restaurant that showcases fresh Island products. Down Island features a daily prix fixed menu intended for sharing. By day the restaurant operates a juice and coffee bar on the Circuit Avenue side of the restaurant. Good to know: The restaurant entrance is located across the street from 20byNine on Kennebec Avenue behind the Lampost building and Giordano’s Restaurant. New in 2016 this fine dining restaurant is located in downtown Oak Bluffs and is the sister restaurant of 20byNine. Chef Scott Cummings highlights fresh, local ingredients in a constantly changing prix fixe menu. The Dunes is Martha’s Vineyard’s only restaurant at South Beach, featuring spectacular views, an inviting ocean breeze, eclectic menus, and great cocktails. Enjoy casual, relaxed dining in a beautiful atmosphere at this seasonal Martha’s Vineyard Resort restaurant. The Dunes introduced new Executive Chef, Noel Middleton in spring of 2016. Experience his culinary creations indoors in the main dining room or outdoors on the sweeping deck. Linger by the cozy fire pits, sample casual menu offerings, small plates, craft beers, a fine selection of wines, and specialty drinks and cocktails. The Dunes features ample parking for everyone. Enjoy your time exploring scenic Katama rather than searching for a parking space in downtown Edgartown. Or take the complimentary water taxi from Edgartown and arrive in style (offered during the summer season). The Dunes also makes it easy to dine with your children. Bring the kids along and after they dine with you, take advantage of the supervised and complimentary Kids’ Corner activity program. This service is offered nightly so mom and dad can enjoy a relaxing dinner. 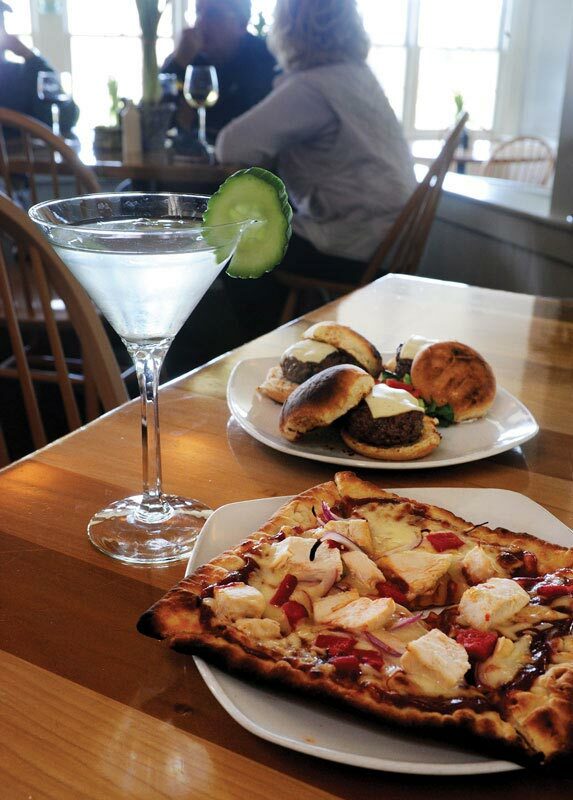 Edgartown Pizza, located at the triangle on Edgartown Road, is a relaxed family style place with an extensive full menu. There are choices with a Brazilian flair, vegetarian options and lots of kid-friendly meals – classic pizza, salads, subs, burgers and much more. Open year round, for breakfast, lunch and dinner…Winter hours are 10:30am-9pm, In-Season 9:30-11pm. Dining is available indoors and out, and there are beer and wine selections to accompany your meal. There’s even Free WiFi! Located on Martha’s Vineyard, Edgartown Pizza is one of the best values on the Island, open year-round. Creative pizzas, salads and sandwiches and a big, breezy patio to enjoy it on. This is a great restaurant for families. Open for breakfast, lunch, and dinner. Overlooking the first tee at the Farm Neck Golf Course in Oak Bluffs, the Farm Neck Café offers casual dining from April through November. Serving breakfast, Sunday brunch, lunch, and dinner in a relaxed atmosphere, you’re sure to find something to please your palate here. The dinner menu features starters, salads, and casual fare like burgers, a lobster roll, and oyster po’boys, but there are more substantial entrees like a New York Strip Steak or Chicken Marsala if you choose. The Café is also available for private parties, receptions, and weddings either indoors or under the Farm Neck Tent. We like: Sunday brunch with mimosas on the porch. A Martha’s Vineyard seasonal restaurant. Overlooking the first Tee, the Farm Neck Café offers casual dining from April through November. In addition, the Café is available for private parties, receptions and weddings either indoors or under the Farm Neck Tent. Fishbones serves lunch and dinner daily, in season, from their waterfront location at Dockside Marina, overlooking the harbor in Oak Bluffs. Watch the ferries come and go, ooh and aah over the yachts and sailboats that dot the harbor, or simply watch the parade of people while you enjoy a relaxing cocktail and a sun-splashed meal. There’s a raw bar and chowder, and a wide variety of starters, salads and entrees. 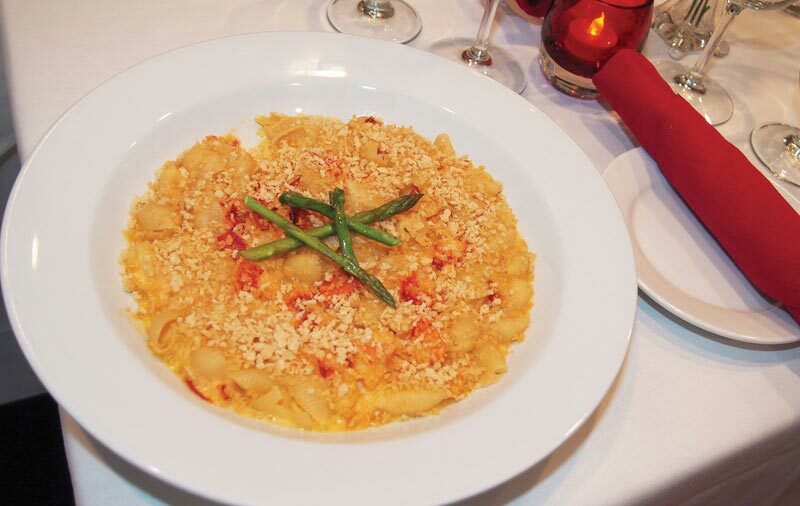 We like: The Lobster Mac’n’Cheese and the Jumbo Lump Crab Cakes. Both are offered in starter sizes, but we say jump right in and order the full boat – you won’t be sorry. A seasonal Martha’s Vineyard Restaurant serving lunch, dinner, and Sunday brunch in a spectacular setting amidst the busy Oak Bluffs Harbor scene. Waterfront bar on the harbor. Great people-watching. Serving lobster, fried food, and great appetizers. Located on Beach Road with views of the Lagoon and the Harbor, Garde East is a short easy walk from downtown Vineyard Haven and the ferry. Opened in 2016 by Chef Robert Sisca, Garde East is nestled alongside the luxurious Vineyard Haven Marina in the former Blue Canoe space. The fine dining restaurant is small and intimate with seating available indoors and out. Combining approachability and seasonality, Chef Robert Sisca has artfully created a menu showcasing the Martha’s Vineyard bounty from both land and sea. The menu boasts French-inspired seafood and highlights the Island’s latest catches and local produce. There are several raw preparations available, as well as meticulously curated wine last and carefully crafted cocktails. The menu changes frequently based on available ingredients while upholding Chef Robert Sisca’s dedication to presenting dishes with a sense of purpose. The menu appeals to both adventurous epicureans and the palettes who prefer familiar favorites. We love sitting upstairs and watching the ever changing water and sky while we eat…a perfect spot for a quiet romantic evening. Giordano’s has been serving fine Italian and American food in Oak Bluffs since 1930. There’s a full sit down menu here of pasta, pizza, baked dishes, fresh seafood, salads and sandwiches, as well as a great selection of beer, wine, and cocktails. Next door, there’s a take-out window just for the authentic Neopolitan style pizza, featuring hand-tossed dough, original family recipe sauce, real mozzarella and parmesan cheeses and the very freshest toppings. Giordano’s lays claim to the Vineyard’s first Clam Bar, offering up fried clams, fish, scallops, shrimp and calamari, as well as great fries and fresh cut onion rings. Four generations of Giordano’s have perfected their craft here…with delicious results. Don’t miss: A slice of cheese pizza and fried clams from the take-out window. Enjoy them at Ocean Park a few feet away. Giordano’s has been serving fine Italian and American food, pizza and take-out on Martha’s Vineyard for more than 70 years, with four generations of restaurant experience dedicated to quality, value, and service. Tucked away behind Lighthouse Grill is an elegant little bar with spectacular views that has long been considered one of Martha’s Vineyard’s best-kept secrets, Henry’s Hotel Bar. Henry’s Bar features a Tapas-inspired grazing menu of Vineyard Small Plates. We source the freshest island ingredients from established local farms and fishermen and prepare the food in a contemporary New England style. The menu is designed to offer multiple tastes by choosing several inspired Small Plates. For those who wish to dine in a more traditional manner, full-size entrees are offered as well. The Small Plates are complimented by some of New England’s best micro-brewed beers and signature cocktails. While the rules are changing elsewhere on the Vineyard, Menemsha is still a dry town. The Homeport can’t serve alcoholic beverages, but you can bring any wine, beer or spirits you choose to compliment your meal. Ice buckets for wine are available, as are glassware, hand crafted mixers and simple soda water, tonic and juice for your most creative cocktail concoctions. The Homeport is known for its world famous sunsets, lobster dinners and famed clam chowder. This seasonal restaurant is an iconic landmark on the island serving traditional seafood fare since 1930. What was once a hopping piano bar, David’s Island House featuring pianist David Crohan, is now a restaurant and nightclub. During the day, the Island Bar & Grill is a family friendly restaurant featuring classic American fare with an Vineyard flavor. You’ll find classic Island dishes like lobster rolls, fish & chips, and crab cakes, as well as pasta plates and grilled meats. At night, the Island Bar & Grill turns into a hopping dance club, featuring reggae, hip-hop, and Brazilian music from the 80‘s and 90’s through today. A Martha’s Vineyard restaurant and popular night club. During the day, Island Bar & Grill is a family friendly restaurant serving classic American fare. At night, it turns into a popular dance club. l’étoile is a vibrant modern restaurant located in an old whaling captain’s house in the heart of Edgartown, open from late April through late November , serving dinner Thursday through Sunday evenings in the shoulder seasons and nightly from mid-June 12 through late September. Offering an inventive, seasonally-driven menu in a casually elegant dining room, l’étoile also has a tented outdoor garden terrace for dining in the warmer months. The bar is a stylishly intimate, popular destination for a “Startini” or other cocktail before or after dinner. In addition to the regular dinner menu here there’s a chef’s tasting menu, a bar menu, and a delightfully dizzying selection of specialty cocktails and wine. Don’t miss: Morning Glory Farm Red Butternut Squash Soup with Leeks, Warm Pear and Ginger Cornbread Pudding, and the Startini. l’étoile is also home to Celebration Cakes, offering customized wedding cakes with one of the Island’s premier bakers. They’ll create your cake with your favorite flavors, textures and fillings, using fresh flowers, fruits, seasonal berries and all-natural ingredients. La Soffitta is features authentic Italian cuisine, located above Waterside Market on Main Street, Vineyard Haven, just one block from the Steamship Authority. 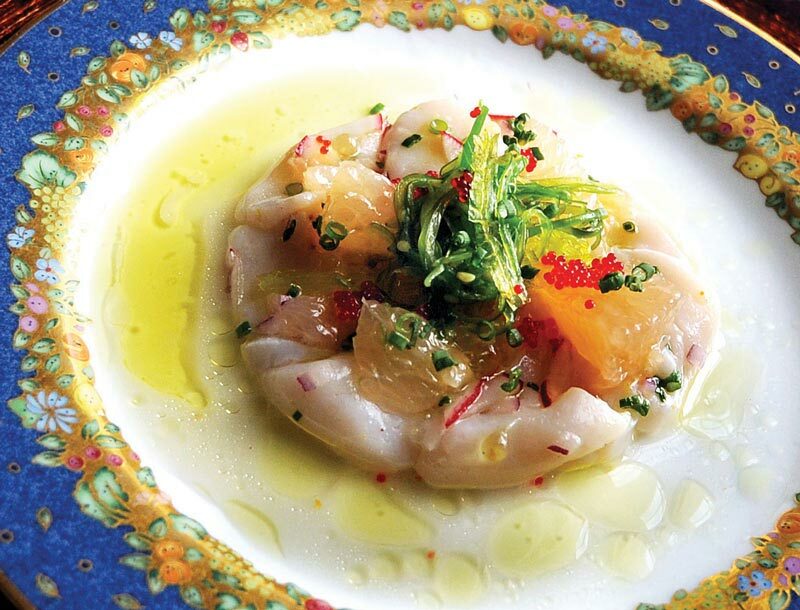 La Soffitta is a homey Italian tavern presenting many seafood options and an extensive international wine list. New in 2017, Naples-born Chef Salvatore Della Torre leads the helm in the kitchen. 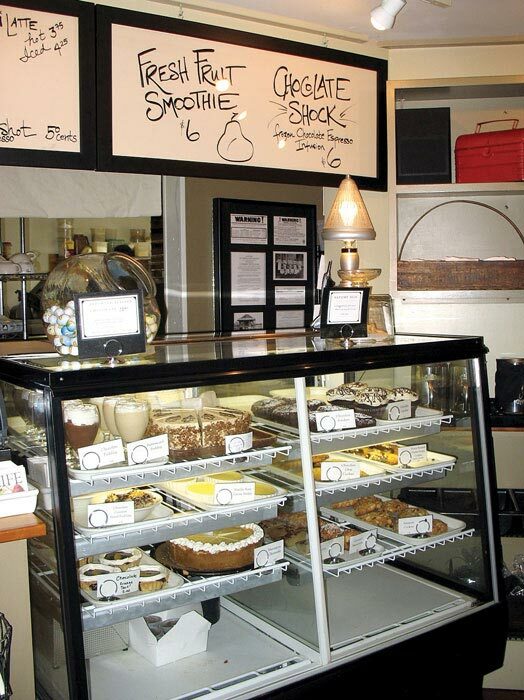 Their homemade pastas and decadent desserts are not to be missed. The Lambert’s Cove Inn, Farm & Restaurant 0ffers seven acres of spacious lawns, gardens, forest and meadowlands . Formerly an 18th-century farmhouse, the inn specializes in family vacations with older children, honeymoons, anniversaries and romantic getaways. The fine dining restaurant features Island cuisine. The inn offers 15 guest rooms and suites, all including private baths, luxury linens, high-speed internet, telephones and TV/CD/DVD players with access to more than 100 recent hit movies. The inn has a private tennis club, heated pool and spa and guests also receive passes to the private Lambert’s Cove beach nearby. A full breakfast is served in season. Children must be 13 or older. Two rooms are pet-friendly; an extra charge applies. The Lambert’s Cove Inn and its fine dining restaurant are located on seven rural acres in West Tisbury. 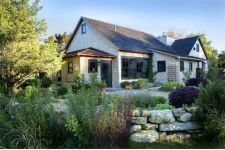 The Lambert’s Cove Inn, Farm & Restaurant is one of the most romantic retreats on Martha’s Vineyard. The elegant dining room, with gleaming hardwood floors and crackling fireplaces, features outstanding island cuisine. Located at the historic Harbor View Hotel on Starbuck’s Neck in Edgartown, this graceful Victorian dining room enjoys beautiful views of the Edgartown Lighthouse and harbor. Lighthouse Grill is a casual, contemporary New England grill with a focus on fish, steak and chop entrees that are simply prepared and of the highest quality. The service is warm, skilled and beach club casual; the menu approachable and family friendly. Our expert culinary team sources the freshest island produce, meats and poultry from established Vineyard farms, and seafood is line-caught by local day-boat fishermen. Drinks range from a large selection of draft beers to specialty mixed drinks to an eclectic wine list. The Grill’s bright, welcoming décor evokes a nautical bistro vibe and lets Edgartown’s most beautiful view take the spotlight. The Lighthouse Grill serves Breakfast and Sunday Brunch year-round, and is open seasonally for dinner. Reservations are strongly recommended and can be made by calling 508-627-3761. A Martha’s Vineyard restaurant located at the historic Harbor View Hotel on Starbuck’s Neck. Reservations strongly recommended. Serving homestyle food at reasonable prices, Linda Jean’s offers the quintessential small-town restaurant experience. New in 2014, Linda Jean’s now offers beer and wine. Linda Jean’s, a popular breakfast, lunch, and dinner spot in Oak Bluffs. A family friendly favorite with locals and visitors alike, this has been the anchor go-to spot on Circuit Avenue in Oak Bluffs since 1976. All of their sauces, gravies, and soups are made from scratch and they offer specials and fresh seafood daily. 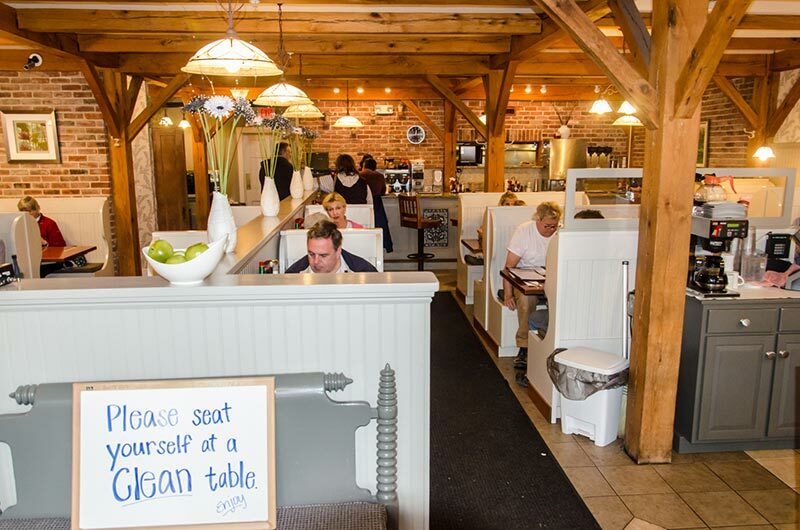 Open year-round for breakfast, lunch and dinner – stop in to fuel up for a day of shopping or beaching it in Oak Bluffs. We like: Adding at least one delicious biscuit from the sides menu to any breakfast order, and The Jacob. Thank you for choosing Linda Jeans, Our goal is to provide great food at reasonable prices, and to serve you quickly. We are proud to say we have been a part of Oak Bluffs for over 30 years and have become an island favorite amongst both locals and visitors. Lobsterville Bar and Grille, overlooking the harbor in Oak Bluffs, specializes in fresh, local seafood. Open for lunch and dinner in-season, they offer a ‘daily catch’ of the freshest seafood selections as well as an extensive menu of homemade soups, fried seafood, fresh lobsters, burgers, and more. Be sure to visit Krazy Kap at the raw bar – he’s an American original, a Vineyard character, an oyster-shucking marvel – They all apply. Whether you choose to dine inside or out, on the first or second floor, you will have a great view of the harbor most any place. And the Ship Wreck Bar at Lobsterville, offering specialty Island cocktails, wine, draft and bottled beer, is a great place to kick-back while taking in the Oak Bluffs harbor scene. Don’t miss: a Blueberry Lemonade cocktail, the Pig Wings appetizer, and the Local Lobster Grilled Cheese. 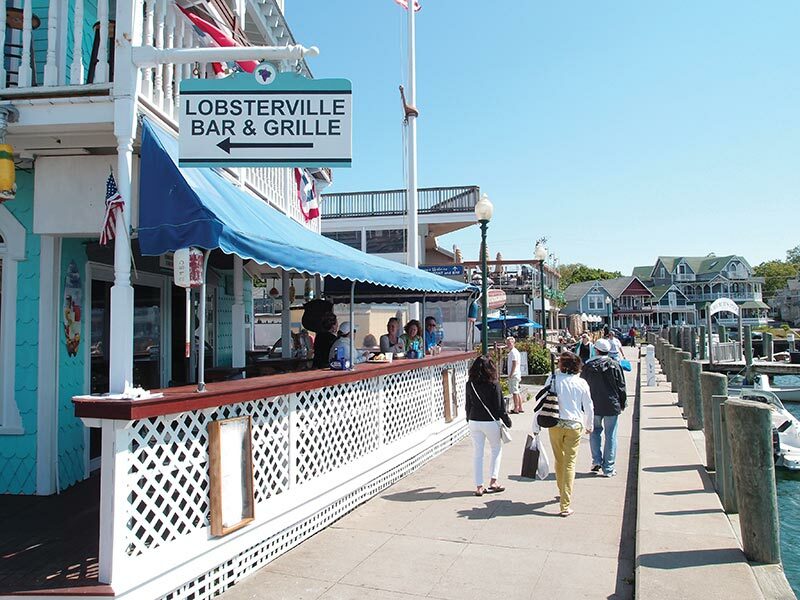 Lobsterville Grille, overlooking the harbor in Oak Bluffs, specializes in fresh, local seafood prepared your way. They offer a daily catch of the freshest seafood selections on the Vineyard as well as an extensive menu of homemade soups, fried seafood, fresh lobsters, burgers and more. Lobsterville is a Martha’s Vineyard seasonal restaurant. Located above the MV Chowder Co. in the heart of Oak Bluffs, The LoFT is a 5,300 square foot playground for adults featuring pool tables, dart boards, ping pong, foosball, arcade games, air hockey and more. Check out the bar menu here, and you can also order from the MV Chowder Co menu. Located in the heart of Oak Bluffs, Dreamland has 5,300 square feet of newly renovated space available. After a brief spell masquerading as another restaurant, Lola’s is back. With a large parking lot and a large bar, this Oak Bluffs restaurant specializes in foods with southern flair. Live music is offered regularly but spontaneous dancing can occur at any time. After a brief spell masquerading as another restaurant, Lola’s is back. Perched on a bluff overlooking Nantucket Sound in Oak Bluffs, the Lookout Tavern offers indoor and outdoor waterfront seating and an extensive menu. There’s sushi, a great raw bar featuring local oysters, grilled & fried fresh seafood, burgers, salads, sandwiches, chowder, and lobster. If you need a break from the sweeping views of incoming and outgoing boats and the best sea breezes around you can sample a great selection of award winning beers on tap and 6, count ’em 6, high definition TV’s. The Lookout is comfortable for the whole family. We like: For sushi, the Islander platter for two and the Volcano roll. For cocktails, Lookout Lemonade and the Happiness Is margarita. A Martha’s Vineyard seasonal restaurant overlooking Nantucket Sound. Indoor and outdoor waterfront seating. Sushi and raw bar. Grilled and fried fresh seafood. 6 high definition TV’s. Lucky Hank’s on Upper Main Street in Edgartown offers comfort food with a homemade flair for breakfast, lunch, and dinner year round. Sourcing many of their fresh ingredients here on the Vineyard, Lucky Hank’s has developed a truly heart (and belly) warming menu. Our favorites – for breakfast, the Vineyard Benedict: Two poached eggs and fresh Vineyard lobster served on an English muffin with Hollandaise sauce & home fries. At lunch time we opt for the Best Grilled Cheese & Tomato Soup. The sandwich is a rich, gooey buttery affair made with Cheddar, Swiss, Pecorino, tomato and caramelized onions and is accompanied by a cup of soup. And – what else offers “comfort” like Meatloaf? Hank’s is served with onion gravy, mashed potatoes and your choice of a daily side – we’d go for the Green Beans and fingerlings, because, really, can you ever have too many potatoes? 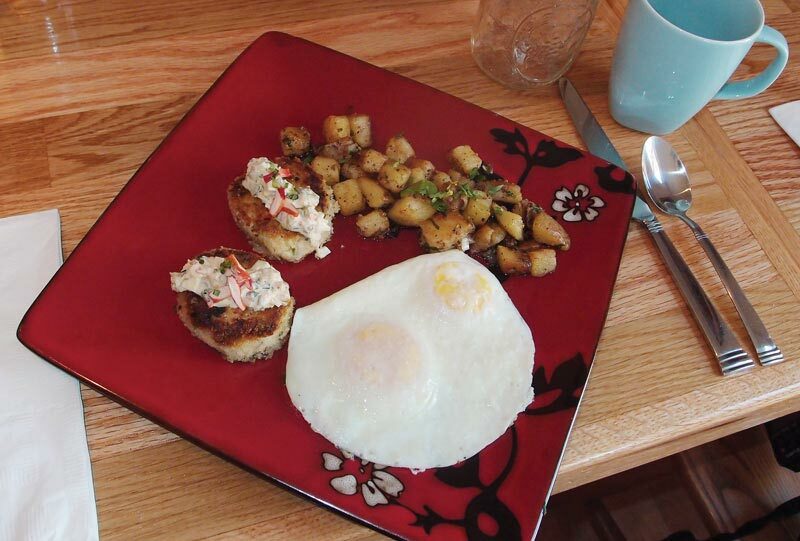 Add an Island Farm egg for $3 dollars and sink into a blissful comfort food coma. For the vegetarian in your party the chef offers an inspired daily vegetable dish. Lucky Hank‘s Restaurant and Cafe on Martha’s Vineyard serves breakfast, lunch, and dinner year round. Martha’s Vineyard Distilling Company was born out the idea of two Martha’s Vineyard natives, Nick and Ryan. Classmates at the Martha’s Vineyard Regional High School, Nick and Ryan took very different paths after school but joined together years later for a common goal and passion: To create the very best and first spirits that the Island of Martha’s Vineyard has to offer. All of the spirits created by the Martha’s Vineyard Distilling Company are both inspired by and developed on a farm deep in the woods of Tisbury. Merchandise and accessories can be found online and at the brand’s retail store in-season on Lake Ave in Oak Bluffs. Handcrafted in small batches, quality is of the utmost importance. Ingredients are key to producing a quality spirit. All grains are either organically grown or from farms committed organic farming techniques. The herbs used in some of the recipes are produced naturally right on the farm on which the distillery stands. The water comes directly from the Vineyard which gives it a unique and smooth flavor. The Martha’s Vineyard Distilling Company is committed to supporting the Island economy so for now the spirits can only be found in select restaurants along with all of the liquor stores on Martha’s Vineyard. We can be found at: Al’s Package Store, Jim’s Package Store, MV Wine and Spirits, Our Market, The Port Supply, Vineyard Wine and Cheese Shop, Vintage MV Wine and Spirits, and the Wharf Liquor Store. Look for it, ask for it, and enjoy the first and finest spirits produced on Martha’s Vineyard. Martha’s Vineyard restaurant mogul J.B. Blau opened Martha’s Vineyard Chowder Company in 2011, and it has been a local favorite since day one. Open year round, Cho-co (as it is commonly known) has something for most, from a handsome bar and bar seating area, to a full dining room. The restaurant features a raw bar and fresh local seafood, as well as pastas, chicken, steaks, and burgers. And, of course, the award-winning chowder. 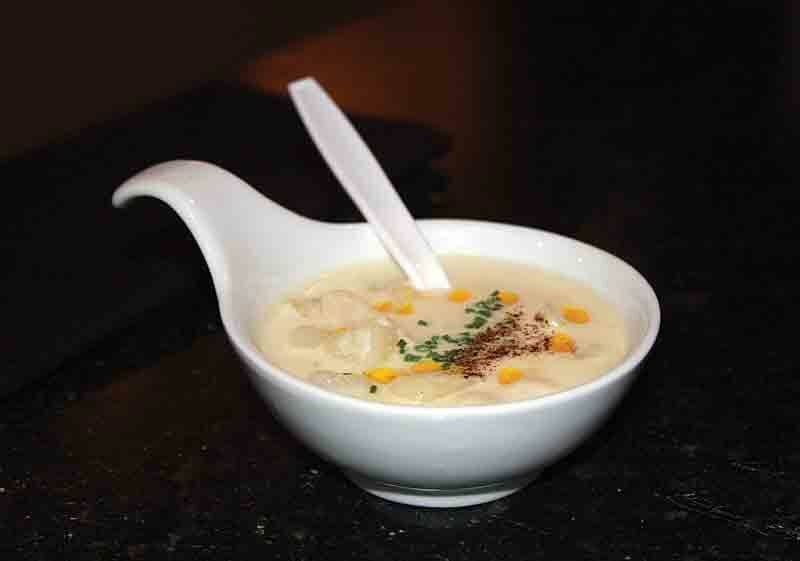 Chef Alex Nagi spends his mornings preparing the day’s chowders from scratch. Mr. Blau is also the owner of both Sharky’s Cantinas and the new Copper Wok. M.V. 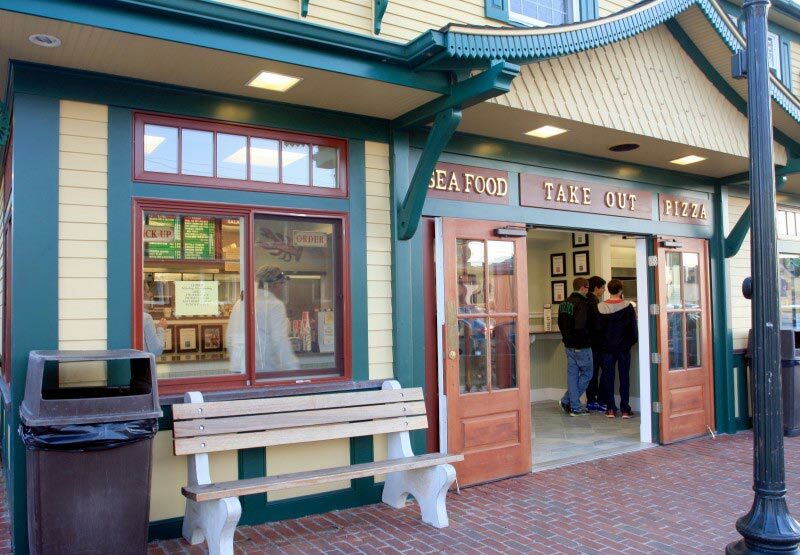 Chowder Company serves lunch Saturdays and Sundays starting at 11:30 am, and dinner 7 nights a week from 5 pm. Don’t miss: A South Beach cocktail, and the chowder, of course. Local fish house and raw bar. A seafood restaurant on Martha’s Vineyard specializing in chowder. Reigning MV Chowderfest Champion. Nancy’s Snack Bar (ground level) is a great place to bring your family for a fun and affordable meal or snack. Adjacent to the snack bar is Donovan’s Reef, a bar featuring regular and frozen drinks made by Donovan himself, a native of Jamaica. The upstairs at Nancy is still open, though the Snack Bar has closed. Nancy’s Restaurant Upstairs (second floor) is a contemporary, full service dining room, a lounge area, full bar, and outdoor patio with a great view of the harbor. 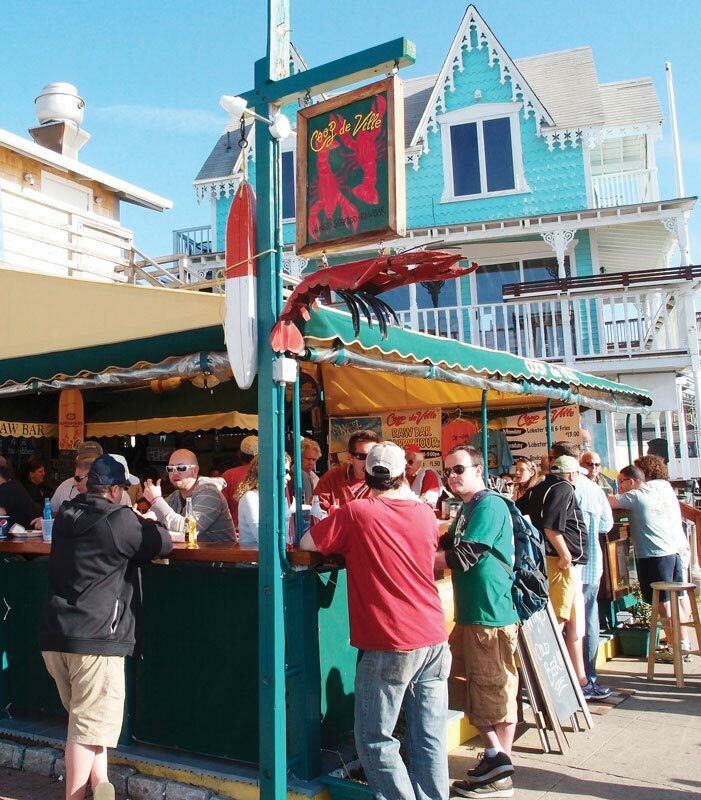 Nancy’s has been a family tradition for five generations, and you can still enjoy the same tastes of summer that grandparents enjoyed strolling along the wooden bulkhead on Oak Bluffs Harbor. Lobster rolls, fried clams, and hand cut skinny onion rings taste the same today as they did in 1960. We like: a Dirty Banana from Donovan’s Reef, and the Chicken kabob plate from the snack bar. Nancy’s Snack Bar (ground level) is a great place to bring your family for a fun and affordable meal or snack. Nancy’s Restaurant Upstairs (second floor) is a contemporary, full service dining room, a lounge area, full bar and outdoor patio with a great view of the harbor. 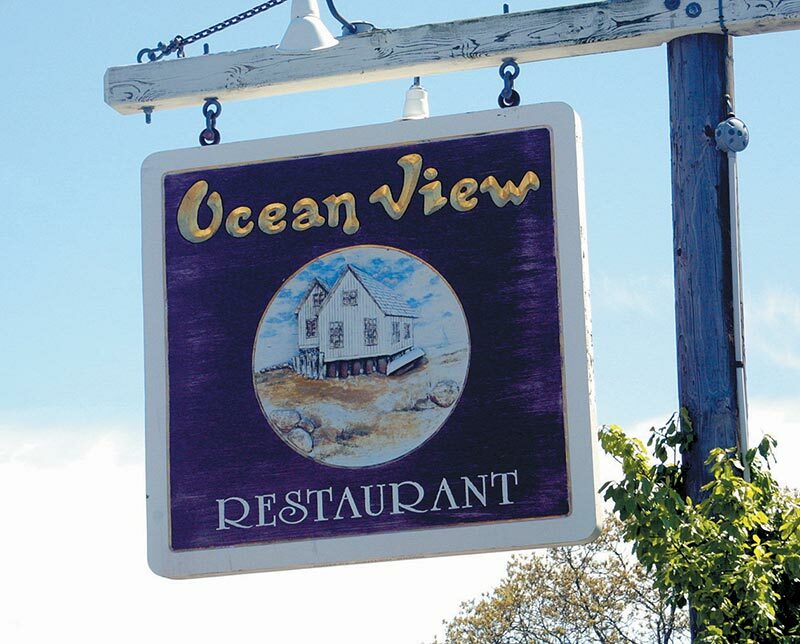 A Martha’s Vineyard year-round favorite, the Ocean View is a family friendly restaurant set a little ways back from the hustle and bustle of downtown Oak Bluffs. The bar and tavern part is open for both lunch and dinner with food items from pizza (only after 5 pm), burgers, sandwiches, and other hearty dishes. The separate dining room is reserved for just dinner service, with an altogether different menu featuring seafood, steak, chicken, and more, along with nightly dinner specials. We like: Pizza and the Hodge Podge appetizer in the bar section, and the baked stuffed lobster in the dining room. A Martha’s Vineyard year-round restaurant featuring two menus: a pub menu and fine dining menu, along with nightly dinner specials. A perennial favorite among Islanders and visitors both, Offshore Ale Co. is known for its for its diverse menu, live music, and tasty, homemade beer. Offshore features regional fare including kettles of seafood gumbo, local oysters, grilled steaks, burgers, and the renowned wood-fire brick oven pizza. The atmosphere is casual, and kids are especially fond of Offshore’s “peanut shells on the floor” policy. Open daily for lunch 11:30 am-4 pm, dinner from 5 pm-9:30 pm. Closed for lunch on Wednesdays. A Martha’s Vineyard year-round restaurant located within walking distance from the Oak Bluffs Ferry Terminals and downtown Oak Bluffs. Brew pub with a casual atmosphere. 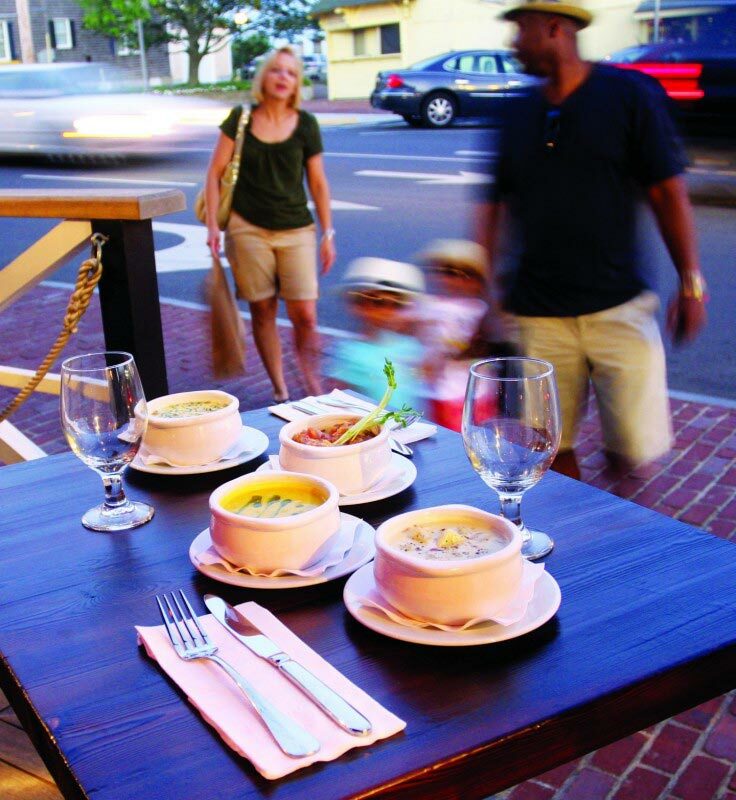 Located in the heart of downtown Oak Bluffs, Park Corner serves dinner seven nights a week as well as Sunday brunch. The small, quaint restaurant is known for its small plates menu during dinner, and hearty brunch entrees such as corned beef hash and French toast. At night, the bar is a cozy place to sidle up for a cocktail. Don’t miss: The Holy Water cocktail. Located in the heart of downtown Oak Bluffs, Park Corner serves dinner seven nights a week as well as Sunday brunch. Owned by the Holy Ghost Association of Martha’s Vineyard, this private social club and charitable organization offers two bars as well as spacious kitchen facilities and ample parking. It is located on Vineyard Ave in Oak Bluffs, not far from Martha’s Vineyard Hospital. Owned by the Holy Ghost Association of Martha’s Vineyard, this private social club and charitable organization offers two bars as well as spacious kitchen facilities and ample parking. With a relaxed atmosphere, an evolving menu, great music, and walls lined with pieces from Island artists such as Rez Williams and Traeger Di Pietro, co-owners Sarah Omer and chef Ben deForest provide a unique brand of soulful cuisine and welcoming atmosphere. Often sourcing from local farms, chef deForest offers a tasting menu as well as traditional a la carte. And the small bar is a great place for a craft cocktail. Don’t miss: The Fresca (a soup), side of Brussels Sprouts, and the Fish of the Day. Often sourcing from local farms, chef Ben deForest offers a tasting menu as well as traditional a la carte. Located on Beach Road in Vineyard Haven, Rocco’s has an array of pizzas and Italian sandwiches to be enjoyed via table service or take out. According to the restaurant, the recipes are family ones that have been passed down for generations. Rocco’s also offers a variety of catering options. Family-style Italian restaurant in Vineyard Haven. Located in downtown Edgartown Rockfish boasts two recently renovated floors including a wood-fired pizza oven and 2 full bars in a casual upscale setting. This sandy beach bar features a large menu complete with seafood, burgers, sushi, and more. 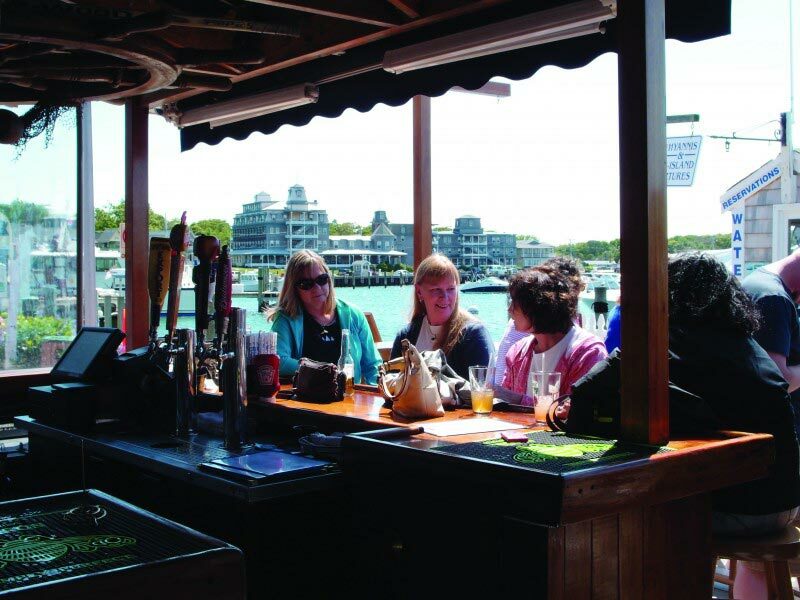 Its location on the Oak Bluffs Harbor allows for people watching from the outside dining area. Indoor seating is also available. On the drink menu, find frozen drinks, cocktails, beer, and wine. At night, this bar/restaurant morphs into a lively bar scene. Open Sunday-Thursday 12 noon-10 pm, Friday and Saturday from 12 noon-1 am. Sandy beach bar. Grilled seafood, burgers, sushi, and more. Frozen drinks, cocktails, beer, and wine. Indoor and outdoor seating. Local lobsters and live entertainment. Newly opened casual, barbecue restaurant in the former home of Smoke ‘n Bones restaurant. Owned by Dan Sauer and Wenonah Madison of 7a. Featuring home smoked meats, sides, beer and wine. Family friendly and outdoor seating available. One of two Sharky’s Cantinas on Martha’s Vineyard, this Mexican restaurant is known for its margaritas made with fresh ingredients, frozen drinks, an outdoor patio and seating area, and a large menu. Whether you are with the family or without, there is something for everyone. If you’re looking for a fun night out with a big group, this is a good choice. And if you are seeking private dining, call ahead to reserve the private room. Don’t miss: Watermelon margarita, sweet chili boneless wings, gaucho steak entree, and the skillet baked cookie and ice cream dessert. Mexican restaurant on Martha’s Vineyard featuring margaritas, organic chips and tortillas, homemade ingredients, frozen drinks, and fun. Whether you are with the family or without, there is something for everyone. One of two Sharky’s Cantinas on Martha’s Vineyard (the other in Edgartown), this Mexican restaurant features margaritas made with fresh ingredients, frozen drinks, an outdoor dining area in the summer, and a large menu. 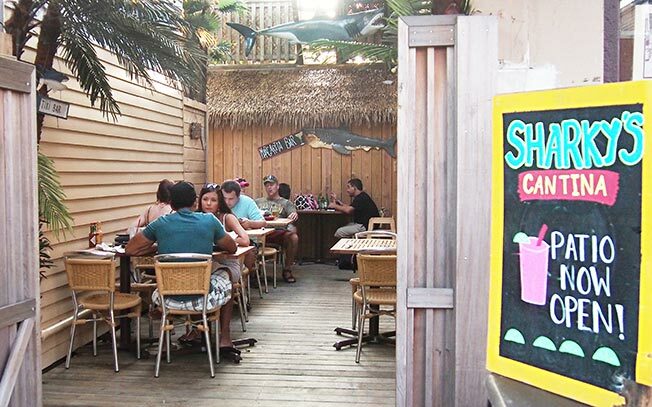 Dine outdoors this summer at Sharky’s Cantina in Oak Bluffs. Whether you are with the family or without, there is something for everyone. Kids and adults both love the casual atmosphere, and if you’re feeling smart, adults can try their knowledge in the video trivia game at the bar. We like: Watermelon margaritas, sweet chili boneless wings, the gaucho steak entree, and the skillet baked cookie and ice cream dessert. Martha’s Vineyard Mexican restaurant featuring margaritas, chips and tortillas, homemade ingredients, frozen drinks, and fun. Whether you are with the family or without, there is something for everyone. State Road offers delicious contemporary Amerian cuisine in a dining room that takes a modern spin on colonial decor, with wood tables without table cloths and a peaked farmhouse ceiling. The farm-to-table restaurant offers a delicious dinner menu ranging from light appetizers to local seafood prepared with new twists, and Sunday brunch. Outside the restaurant is a beautifully landscaped area, with hydrangeas along the side of the building and raised beds growing a wide variety of herbs along the flagstone walkway to the door. A bit towards the back are the restaurant’s gardens, which grow a good amount of the produce used. The rest likely comes from various Island farms. State Road serves beer and wine, and offers an array of “Mocktails,” made with fresh herbs from the restaurant’s garden. Don’t miss: The Charcuterie plate, and any of the night’s desserts. For brunch, be sure to try a Limpopo. State Road offers delicious contemporary Amerian cuisine in a dining room that takes a modern spin on colonial decor, with wood tables without table cloths and a peaked farmhouse ceiing. The cafe serves breakfast and lunch, while the restaurant offers a delicious dinner menu ranging from light appetizers to local seafood prepared with new twists. The Black Dog Tavern has been open year-round since 1969, serving breakfast, lunch and dinner made with the fresh, often local ingredients. The desserts and view of the harbor are not to be missed. The Tavern now serves wine and beer and is also available for catering. 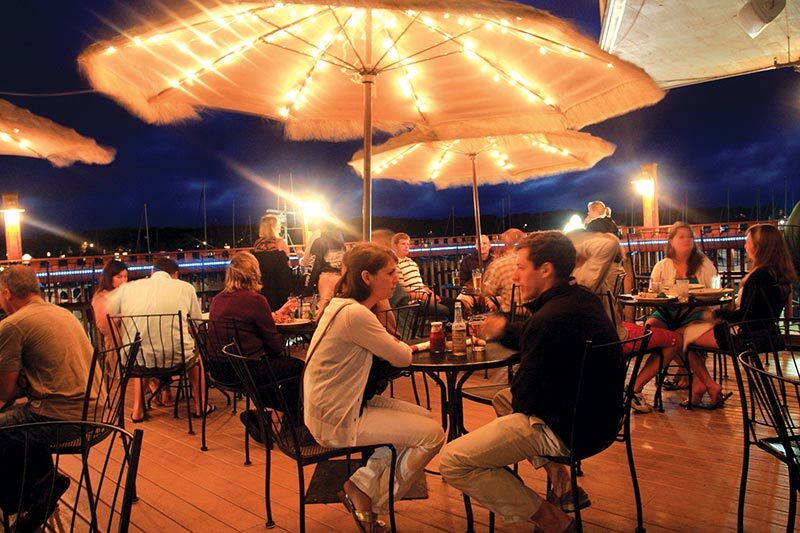 A Martha’s Vineyard year-round restaurant, overlooking the Vineyard Haven harbor. The Covington is a new American dining establishment located where Edgartown Deli was formerly. The team behind the Port Hunter expanded across the street to introduce a refined restaurant that includes a full bar and ample outdoor seating. The menu boasts fresh and local meats, fish, fruits and vegetables. Chef Chris Fischer of Beetlebung Farm leads the helm in the kitchen. Walk-ins are welcome, reservations are suggested. The Covington serves dinner six nights a week from 6-11 pm and are closed on Tuesdays. The bar is open until 12:30 am. The Lampost is an Island nightlife fixture on Circuit Ave in Oak Bluffs. The club features four floors of entertainment, starting with the basement, the “Dive Bar.” Formerly known as the “Rare Duck,” the Dive Bar features live music Thursday-Saturday, while Sundays are reserved for trivia, pool, and more. The third floor features live music and DJs on weekends. The fourth floor is home to an air-conditioned lounge. The Lampost features eight beers on draft and over 14 varieties of bottled beer as well as a full liquor set-up and top-shelf wine. The Lampost is a lively bar with live music, pool tables, fooseball and darts, satellite jukebox, 12 flatscreen TVs, video games and more. Eight beers on draft and over 14 varieties of bottled beer as well as a full liquor set-up and top-shelf wine. Located in the heart of Oak Bluffs. This famous Colonial pub can be found at the base of The Kelley House in the heart of the village of Edgartown. Built in 1742, The Kelley House is one of the oldest buildings on Martha’s Vineyard. This rich history and genuine Colonial character is most evident at The Newes From America Pub with its original rough-hewn beams, ballast brick walls and warm hearth. The menu is a unique blend of American and British pub food, and the bar prides itself on offering some of the most highly rated, limited-release, New England draft beers. A Rack of Beers is available for sampling, and in return get rewarded with wooden nickels. Collect hundreds of them for your own seat at the bar. The Newes is open year-round for lunch and dinner daily, and does not take reservations. We like: Roquefort Stilettos, Kelly’s French Dip, and Bangers & Mash. This Colonial pub can be found at the base of The Kelley House in the heart of the village of Edgartown. Built in 1742, The Kelley House is one of the oldest buildings on Martha’s Vineyard. The Newes from America Pub is a Martha’s Vineyard year-round restaurant. Nestled near the famous Gay Head Cliffs and adjacent to the equally famous Gay Head Light, the inn offers guests and patrons of the restaurant panoramic views of the Atlantic Ocean. Philbin Beach is a short ways away. 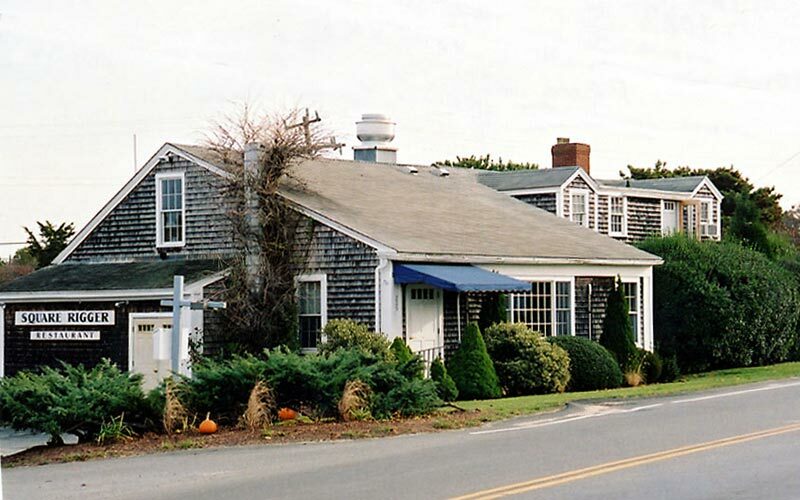 The Outermost Inn on the Gay Head Cliffs is owned and operated by Hugh and Jeanne Taylor. Brothers Patrick and Ted Courtney’s raw bar and kitchen in downtown Edgartown is a unique dining and nightlife experience on the Vineyard. The restaurant serves lunch and dinner, May through October, and often features live music. 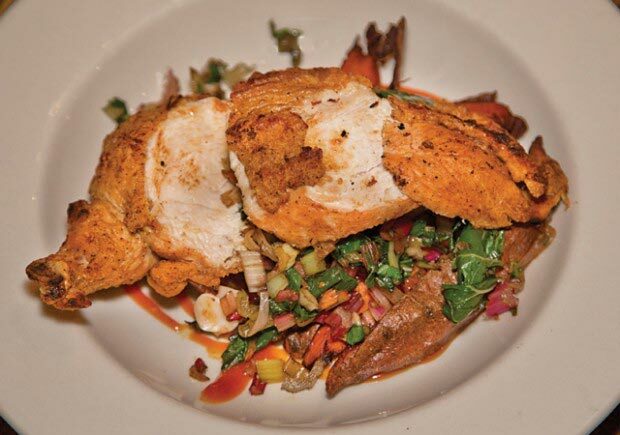 Pan roasted half chicken with Swiss chard and sweet potato wedges from the 2013 menu. All of the furniture, including the bar, tables, and chairs were handmade either on-Island or by a friend in Maine. Combined with the brick walls, high ceiling, and shuffleboard, the atmosphere is chic and casual. The Port Hunter Raw Bar and Kitchen is downtown Edgartown’s oyster bar and lounge. The Ritz Cafe is a local pub in the heart of Oak Bluffs that features live music. 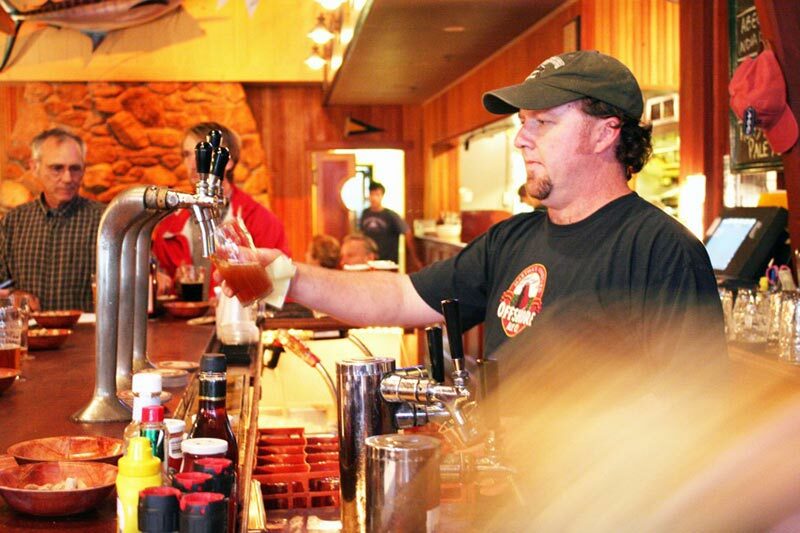 The Ritz Cafe is a local pub in the heart of Oak Bluffs that features lots of live music. 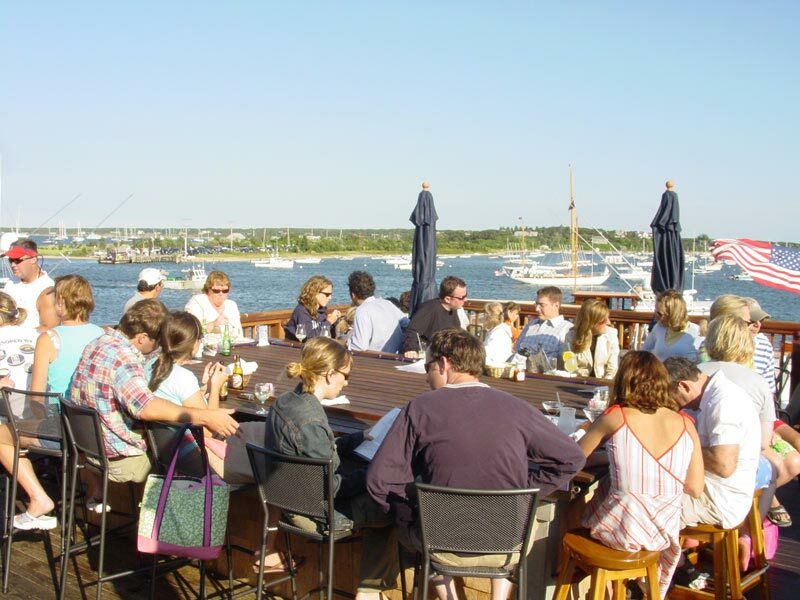 The Seafood Shanty offers lunch and dinner, and a great view of Edgartown harbor and nearby Chappaquiddick. Visitors can relax with wine or cocktail while taking in the view from the dining room or upstairs on the outdoor deck. Along with classic seafood dishes, the menu includes steak entrees and a sushi/raw bar. Lunch: 11 am-5 pm. Dinner: Sun-Thurs 5-9 pm, Friday & Saturday 5-10 pm. The Seafood Shanty specializes in seafood favorites, along with steak entrees and a sushi/raw bar, with a view of the Edgartown harbor. A seasonal Martha’s Vineyard restaurant. This Martha’s Vineyard restaurant was originally a house built in about 1800 by Capt. Thomas Marshall Pease, who was a whaling captain and sailed square-rigged ships. The Square-Rigger now sails on, conveying traditional Edgartown hospitality and fine foods, piloted by Doreen and Tony Rezendes. 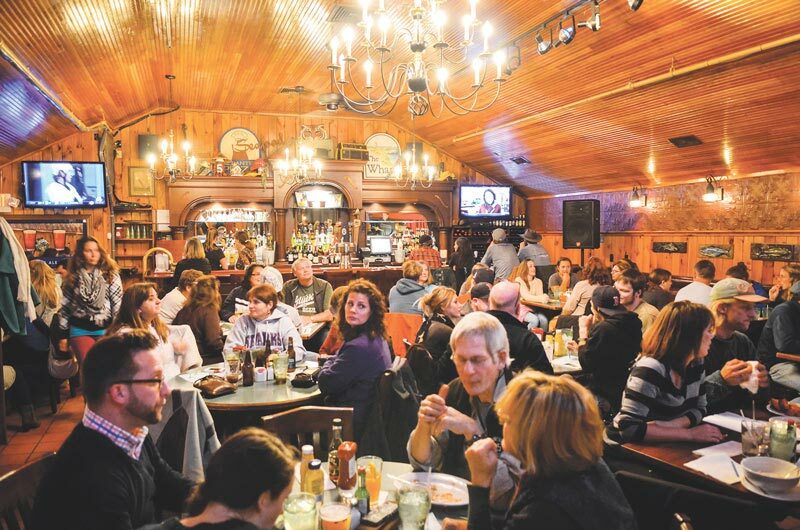 The Square Rigger is known for its consistent and hearty dinners, and has become a favorite spot for many locals. The main room features an open hearth where you can watch your dinner being cooked, or sit in the smaller, more secluded back room. Either way, you are surrounded by dark wood beams and nautical memorabilia that makes for a cozy atmosphere. The old house communicates a feeling of the Island in days long gone by, which adds extra charm to the dining experience. We like: Clams casino, one of the many lobster entrees, prime rib if it’s on the menu that day, and the ice cream pie. A Martha’s Vineyard restaurant located at the Triangle in Edgartown, The Square Rigger is the place for lovers of native seafood, prime rib and more to enjoy a delightful and taste-tempting dinner. The Sweet Life Café, one of Martha’s Vineyard’s fine-dining restaurants, features contemporary French-American cuisine with an accent on local catches and produce. It 2013, it was bought by Suzanna and Kevin Crowell, owners of Detente restaurant in Edgartown. It is known for its celebrity sightings, such as President Obama, who has dined here more than once. Dinner is served in one of the intimate dining rooms of the restored Victorian home or in the romantic garden under the twinkling lights. If you are looking for a quiet and picturesque place for a drink, visit the small outdoor bar, where you can also order dinner. The Sweet Life Café, one of Martha’s Vineyard’s fine-dining restaurants, features contemporary French-American cuisine with an accent on local catches and produce. The Terrace at the Charlotte Inn owners have a philosophy of only using the best of the best. This Classic American restaurant features some of the best of the Island’s bounty of wonderful ingredients and is a must for anyone visiting Martha’s Vineyard. The Terrace welcomes Chef Justin for their November 8, 2012 opening. The Terrace at the Charlotte Inn owners have a philosophy of only using the best of the best. This Classic American restaurant features some of the best of the Island’s bounty of wonderful ingredients and is a must for anyone visiting Martha’s Vineyard. The Wharf has been a staple on Main Street in Edgartown for many years, and the Coogan family, originally from Martha’s Vineyard have owned it since 2004. 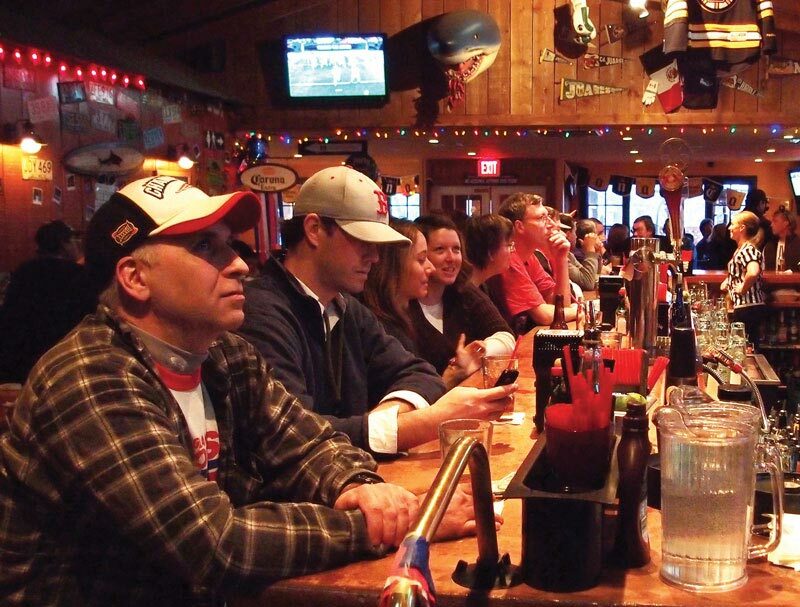 Charmed by the Red Sox World Series win, owners say, they’ve continued in the tradition of connecting locals and tourists with televised sporting events, local seafood, and live music. 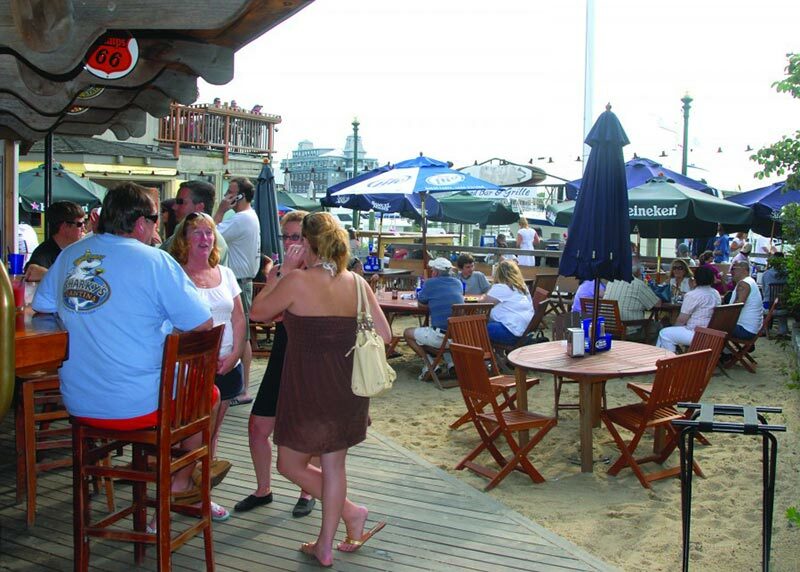 Open seven days a week, year-round, The Wharf features nightly entertainment all summer and weekends off season. A cozy atmosphere where Islanders and visitors enjoy the space together. We like: The vegetarian pasta entree (you can get it with chicken too), and the Ice Pick cocktail. 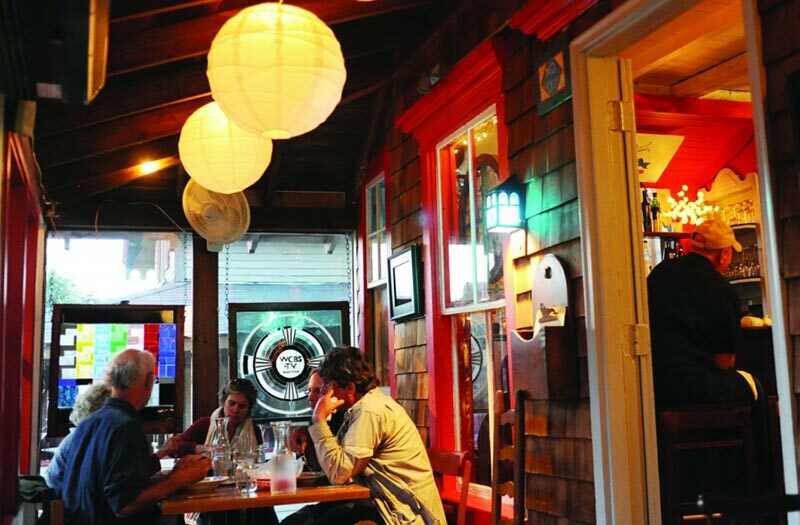 A Martha’s Vineyard year-round restaurant offering a cozy atmosphere that Islanders and visitors alike enjoy. Tropical, conveniently located at Five Corners in Vineyard Haven, is a Brazilian restaurant complete with a churrascaria: a Brazilian-style steakhouse. Choose from an array of grilled meat, then visit the buffet for a choice of salads and sides. For a casual dining experience on Martha‘s Vineyard visit Waterside Market, located just a few blocks from the Vineyard Haven Steamship Authority terminal. 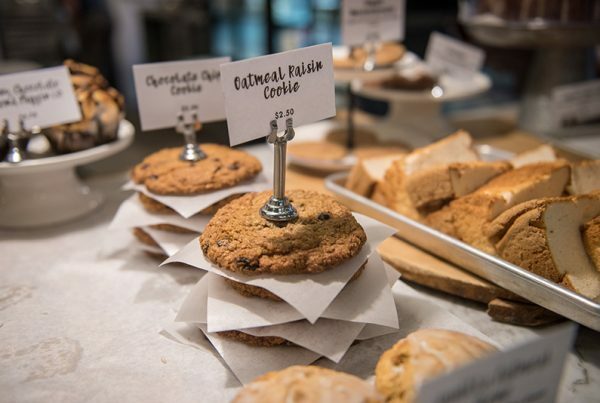 Waterside is a family friendly restaurant, carryout, coffee bar, and market that features a hand-selected array of specialty goods and items. Brands include Woodstock Farms, Dancing Deer Baking Company, Olivier-Napa Valley, Barefoot Contessa, and Daub and Bauble. Catering is also available for large or small events. Waterside Market is a family friendly restaurant, carryout, coffee bar and market just a few blocks from the Vineyard Haven ferry terminal. This popular Martha’s Vineyard pizza restaurant now offers two locations, in Vineyard Haven and Edgartown. 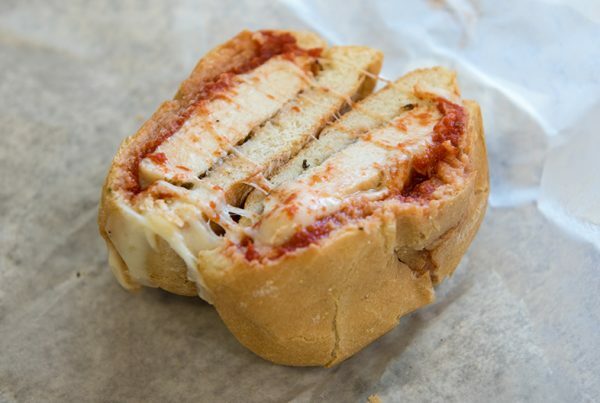 Their award winning pizza boasts creative toppings and their specialty grinders are served hot and toasted. Open year round.